Abila MIP Advance™ is a fully integrated, inclusive fund accounting cloud suite. When your applications are deployed from the cloud, you don’t have to worry about hardware, operating system maintenace, patch installations, or upgrade cycles, each of which results in substantial on-going costs to your organization. Maintenance, backups, and iron clad security are additional benefits that are included in the Abila cloud solution, far surpassing nonprofit industry standards. A true fund accounting system, Abila MIP Advance™ enables nonprofit organizations to boost fiscal stability and manage ever-increasing financial complexities with ease and confidence. 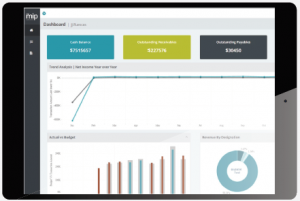 By combining the time-tested Abila MIP platform with a modern, yet familiar user experience, powerful dashboard tools and seamless integration with other mission-critical systems, Abila MIP Advance delivers everything you need to track, report, and manage finances according to your unique funding sources. It’s flexibility enables you to serve your organization – today, tomorrow, and beyond. A True Fund Accounting System – Because MIP Advance is purpose-built for organizations like yours, you and your team can focus on leading and managing your organization, not trying to keep up with cobbled-together, disparate systems or unreliable workarounds to stay compliant or within controls. And, as your funding sources grow in complexity, your accounting, human capital management, and payroll needs change, too. Abila’s MIP Advance can flex and grow alongside you, and is configured to the unique needs of your organization. Breeze through your audit process and effortlessly meet requirements through advanced audit reporting, fraud deterrence, and alerting. FASB and GASB reporting are built right in. 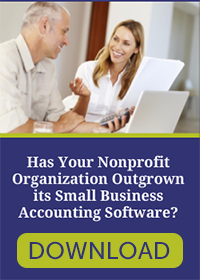 Abila’s fund accounting solutions are built by and for experienced nonprofit and municipality accountants – so you don’t have to adjust to ill-fitting software designed for corporate environments. With more than 19,000 accounting customers across every nonprofit vertical and multiple government sectors, as well as 30-plus years’ experience building solutions specifically for nonprofits and municipalities, true fund accounting isn’t an “add-on” for Abila – it’s what Abila does. A Straightforward Customer Experience – Abila stives to be the easiest company in the industry with which to do business, and works hard to provide straightforward customer experience from implementation, on. Customers can easily get answers from Abila’s seasoned in-house support personnel, as well as Online Chat, Knowledgebase, and Support Center. Users can also share best practices with one another via Online Forums and Abila’s User Community. 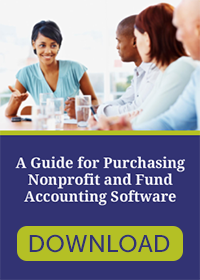 Let B. L. Nickerson and Associates show you the many ways your nonprofit can benefit from cloud technology and cloud-based MIP Advance fund accounting. 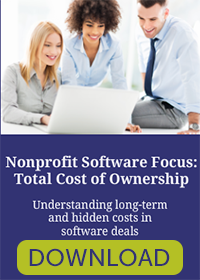 For more information on Abila MIP Advance or any of the nonprofit software solutions and services offered by B. L. Nickerson & Associates, please contact us.